Leading Manufacturer of surface conditioning belts, easyloc discs, high density abrasive web, surface conditioning belt coarse and non woven file belt from Roorkee. We offer our valuable clients the high quality array of Surface Conditioning Belts that are designed using high-grade raw material and advanced technology at our well-developed manufacturing unit. The entire production process is strictly checked by expert quality analysts, who have an in-depth knowledge in this domain. Our offered range is high in demand among clients' for its excellent features. 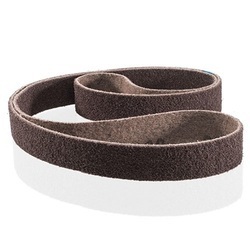 These belts have a woven fabric embedded in the nylon structure to provide additional strength & durability for edge work, the deburring & efficient blending of metals. Clients' can avail the offered belts from us at market leading prices. Deburring: Removing exit burrs, weld splatters, die cast flash & parting lines. Blending: Mill & Tools marks & uneven edges. Cleaning: Corrosion, Paints, Coatings & Rust. We are offering Easyloc Discs. Easyloc SCF Discs provides a unique combination of aggressive performance, long life, and improved finish. Aluminum Oxide Abrasive with a tough scrim reinforced backing can replace products such as steel wool, wire brushes, and conventional coated abrasives to give a consistent repeatable finish. 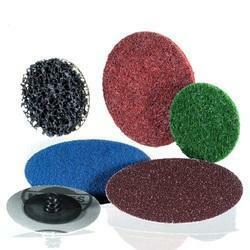 We are offering High Density Abrasive Web. 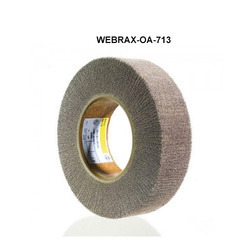 Webrax non-woven web is manufactured from high-quality, three-dimensional special fibre web. The abrasive grain is firmly anchored by a bond to make it correspondingly durable. As an acclaimed enterprise of the industry, we are involved in offering a broad assortment of File Belt Course. It is ideal for soft materials and low force non-woven surface finishing applications. Our offered course is manufactured using advanced techniques and raw material as per industry set norms. A series of quality tests is performed on our course at the time of manufacturing by quality controllers. This qualitative course can be obtained from us at industry leading rates within the stipulated period of time. 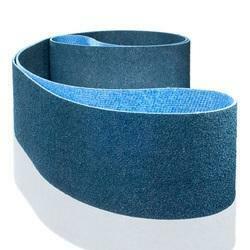 Backed by rich industry experience, we are affianced in providing a qualitative assortment of Non Woven File Belt. The offered belt is made up of superior quality raw material and advanced machines in compliance with set industry norms. We offer this belt in various specifications in order to meet the vast requirements of our valuable clients. Moreover, clients' can avail the offered belt from us at highly affordable prices.